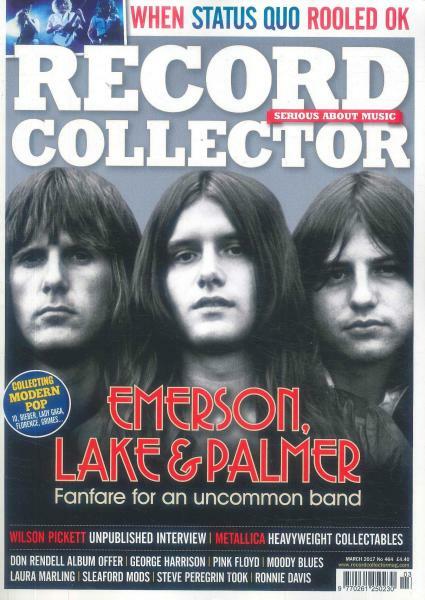 Record Collector is the world's leading authority on rare and collectable records. Record Collector is “serious about music”, because they know that their readers are passionate about what they are listening to. First started purely as a vinyl magazine, they pride themselves on bringing the best features about music on the planet. The pages are filled with artist interviews, discographies and all the inside knowledge from the music industry. The magazine boasts a formidable reviews department in which modern gems nestle alongside classic reissues; there are remarkable Digging For Gold and Value Added Facts sections, which sift the musical treasures from retro rubbish. The publication tells you what’s happening in the world of music auctions, where you might find one of kind vinyls. You may also discover that the ones in your attic attracting dust could be worth an incredible price. You may also find a few bargins from their classified ads section, where you might find records that you’ll struggle to find on the internet. Out every four weeks, the 13 issues offer pure pleasure for music lovers. Wonderful magazine! A great help with trying to flog my vinyls!